Vocalist, Rhythm Guitar, Bass Guitar, Drums, Saxophone, Keyboard, Piano. Villette Holmes is an accomplished, diverse singer/songwriter and model. 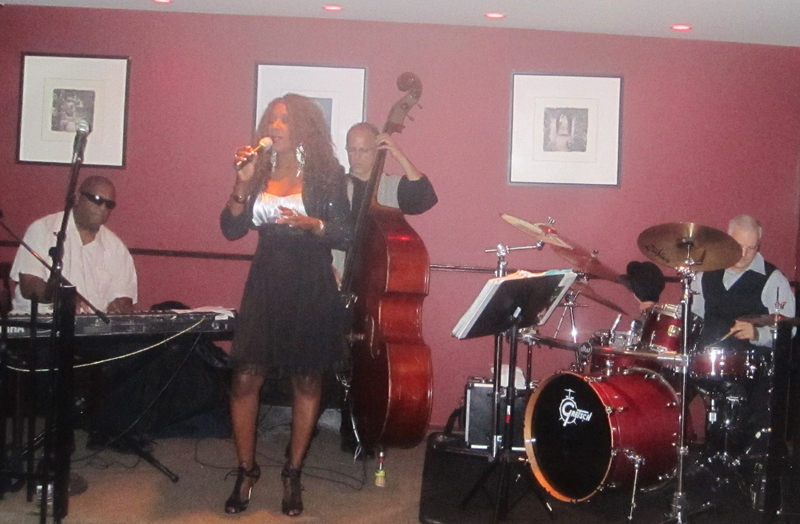 Her soulful and versatile voice embraces many genres of music... R&b,jazz, reggae, standards, soul, Motown, pop. She has grace, presence, a superb and sumptuous voice... Her interpretive sense of style is sharp and distinctive. With over 15 years of professional experience performing national and International. Villette Holmes is available to perform at your Weddings, Birthday Parties, Clubs, Hotels, Anniversaries, Studio Sessions, and Private Events. With every performance, Villette continues to captivate and Jazz,Standards,Motown 60s,70, 80s Reggae,Soul, Cover/ Tribute and Current music. Whatever the Occasion Villette Holmes "Can" and "Will" Keep it Rocking! From Weddings, Corporate Events, Birthday Parties, Anniversary, Clubs, Concerts, Festival. Villette Holmes has the experience in playing them all. She is adept at performing songs from the 50s to the most current hip-hop and R&B styles. With musical influences such as, Whitney Houston, Aretha Franklin, Gladys Knight, Anita baker, Etta James and Tina Turner to name a few... With every performance, Villette continues to captivate and mesmerizes her audience….